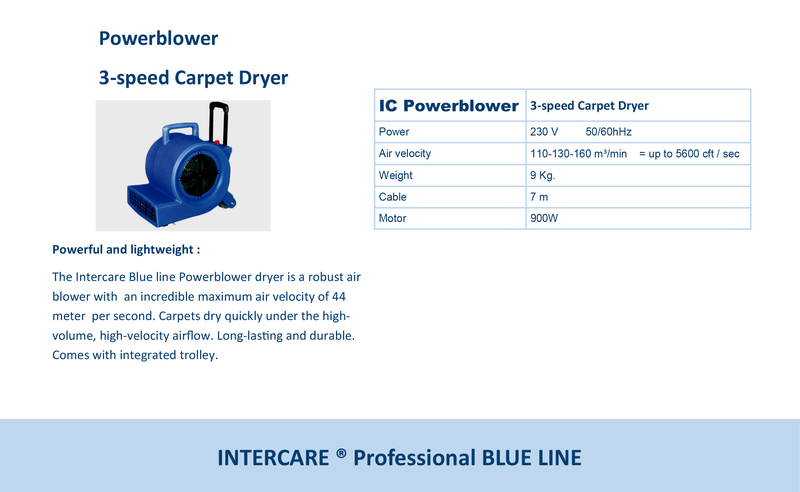 The Intercare Blue line Powerblower 3 speed Carpet Dryer is a robust air blower with an incredible maximum air velocity of 44 meter per second. 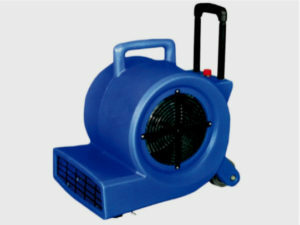 Carpets dry quickly under the highvolume, high-velocity airflow. Long-lasting and durable. Comes with integrated trolley.